KAMPALA – Former Kampala Central Division police commander Aaron Baguma is back in police service a year after he was acquitted of participating in the murder of Dona Katusabe, a businesswoman. Baguma had been relieved of his duties to pave way for investigations that he did not help Katusabe as she was being tortured to death, allegedly at the hands of Muhammad Ssebuwufu, the owner of Pine car bond, in October 2015. But after the Director of Public Prosecutions cleared him of any wrongdoing in the case where he was set to be a state witness, SP Baguma has now been deployed in the private security and fire arms department under the directorate of Operation commanded by AIGP Asuman Mugenyi. 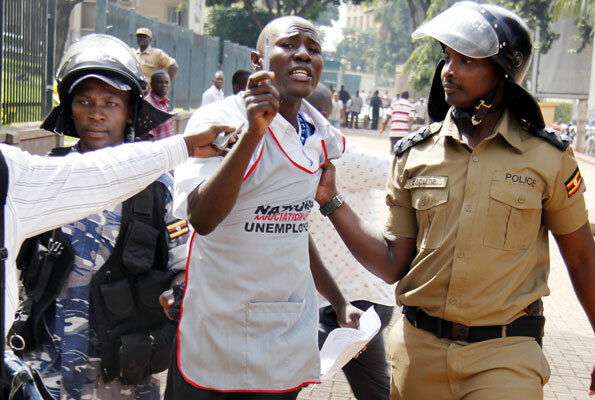 In a police message issued on Friday, Baguma has been deployed alongside 19 others. They include Elias Kasirabo, who has been transferred from human resource administration and appointed commandant of the Environmental Protection Police Unit (EPPU). Godfrey Edwege Taire has been moved from EPPU to the human resource department. Former Makerere University DPC Jackson Mucunguzi has been moved from Jinja Road police division where he has spent only two months to the Human Resource Department. SP Dyna Nyamisango from HRA has been appointed DPC Jinja Road while SP Ian Kakuru’s transfer from Mineral Resource Protection Unit (MRPU) to CID has been cancelled. ASP Samson Lubega has been moved from the directorate of Chief Political Commissar and appointed DPC Agago district while ASP Abbey Ngako has also been moved from CPC ton Luweero as DPC.